I’ve been feeling a little uninspired lately, so I figured it was time to get back to some fun, inexpensive Asian products for a nice change of pace. 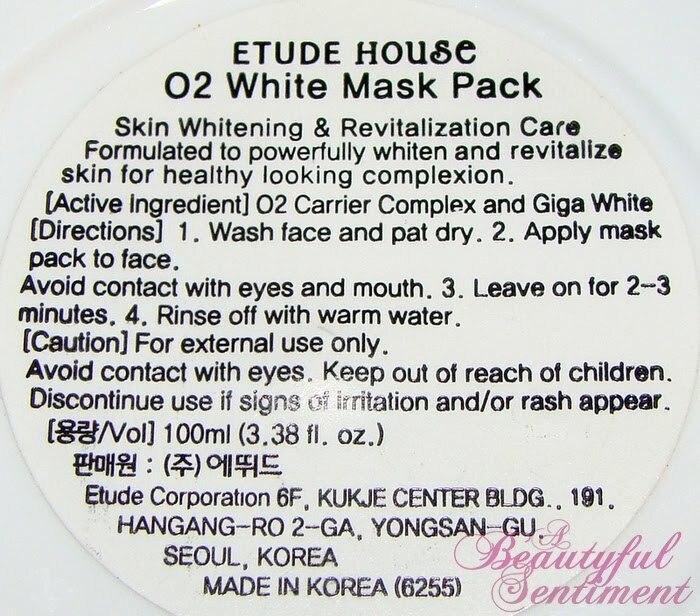 Etude House’s O2 White Mask ($14.99) is a skin whitening and revitalizing wash-off mask that contains an oxygen complex meant to give your complexion a whitened, brightened appearance. 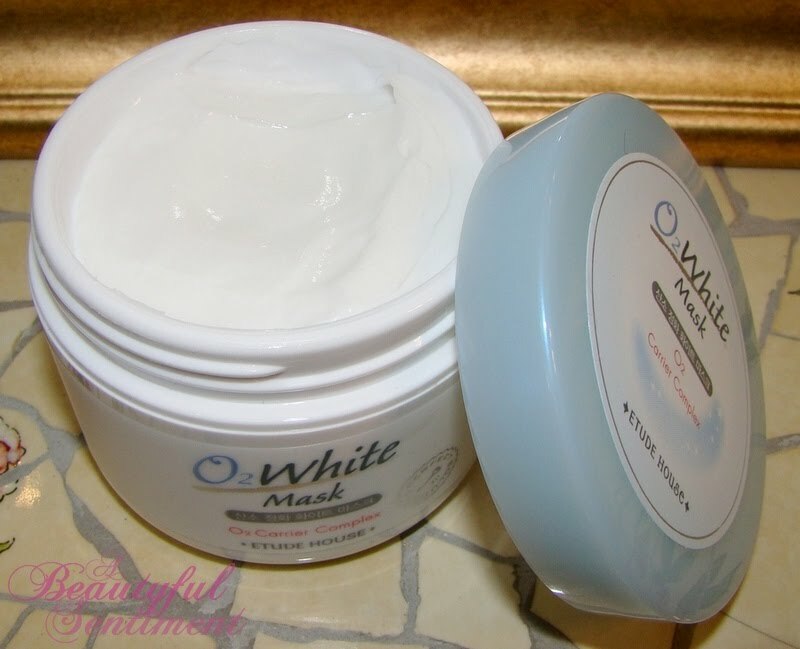 The O2 White Mask has a fresh fruity/floral scent and a fun jelly-like consistency that’s cooling to the skin upon initial application. I do experience some tingling when this touches my rather sensitive skin so I wouldn’t recommend this for those of you who are really sensitive and prone to irritation, but apply the mask, wait 2-3 minutes and rinse off (you’ll see a tiny bit of foaming as you wash this off) and you’ll immediately notice smoother, brighter, happier looking skin. 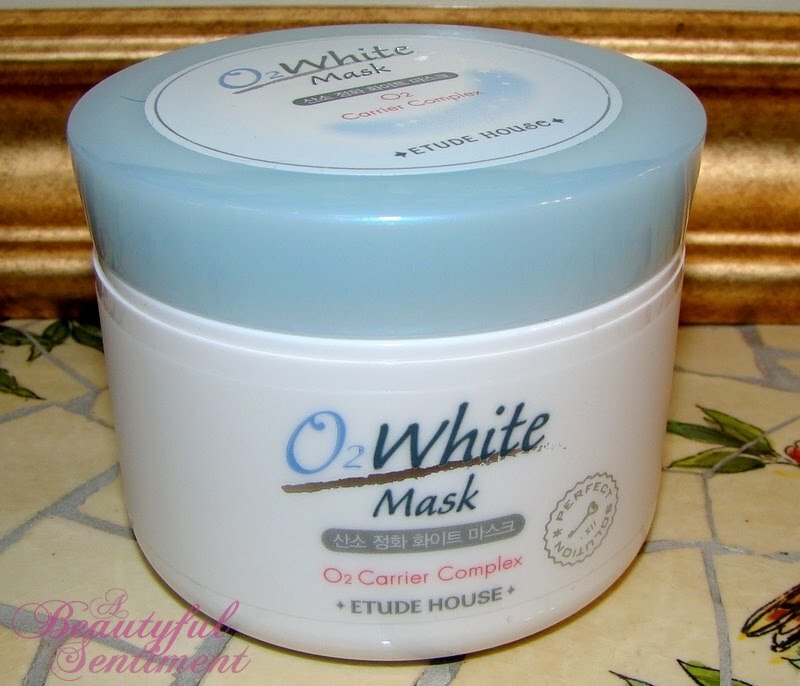 Etude House’s O2 White Mask makes a fabulous inexpensive midweek pick-me-up and is something I like to slather on as I’m sitting in front of the television (like tonight) not doing much of anything at all. It takes zero effort and provides immediate results – can’t really ask for much more than that! This product was a gift from my aunt in Korea – the last time I visited her she saw that I was interested in Etude House and she actually remembered – very sweet of her! She’s also a typical Korean woman, meaning she’s on a neverending quest for that perfect milky white complexion, which explains her choice of product for me =P. 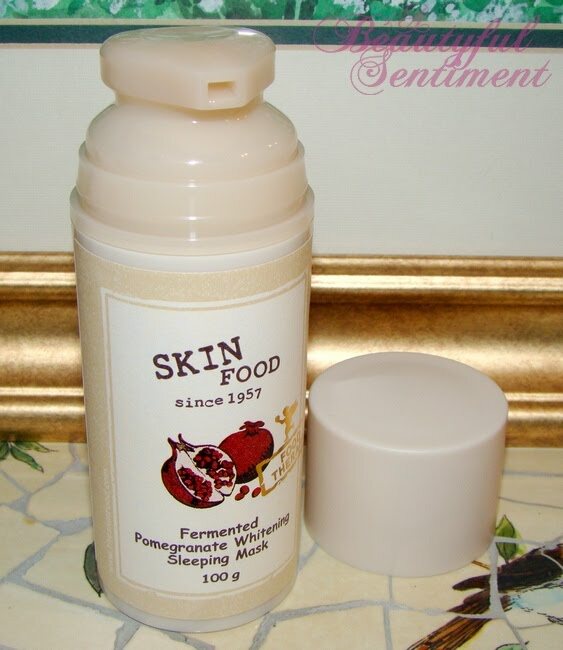 Whoever said beauty had to be difficult obviously never tried SkinFood’s Fermented Pomegranate Whitening Sleeping Mask, a product that will beautify your complexion literally while you sleep. I picked up this product during my Korea trip this past May and I’ve been loving it ever since. On top of my serum on those days/nights my skin is in need of some brightening/softening and just a little extra TLC. On those nights that I’m feeling too lazy to wash off my makeup and there’s just no way I’ll be washing my face, I just slather this on top of everything that’s already on my face. Gross I know! 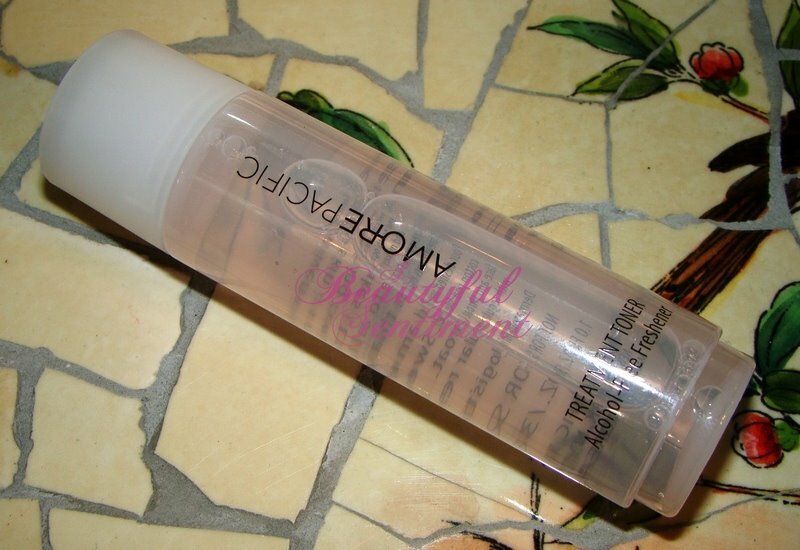 The mornings after I use this I awaken to a brightened, radiant complexion that feels comfortable hydrated and just really glows with happiness. 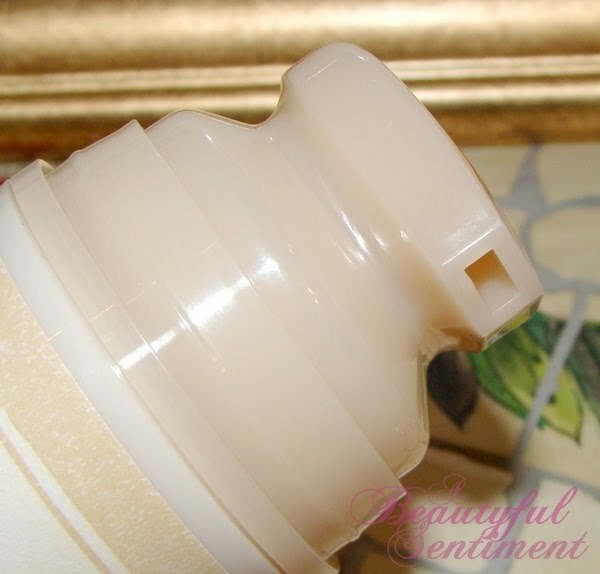 There’s no tight feeling, no tingling discomfort, stickiness, or anything else associated with this product ~ it’s so comfortable that in the morning I often forget that I have this on until I step into the shower and feel this layer of something being washed off my face. I know you’re all grossed out at the thought of my applying this over a made up face, but it seriously keeps my face from going crazy when I’m just too exhausted to wash it and post-shower in the morning my skin still looks great. I think I paid under $15 for this in Korea and it’s been worth its weight in gold. If you have access to it, I highly recommend checking it out! This eye protector provides innovative and dual eye care benefits that will protect your eyes all day long: one for day use and the other, for night. It stimulates blood circulation reducing dark-eye circles as well as revitalizes fatigue and dry eye areas with apparent reduction in fine lines and wrinkles. Dull looking eyes noticeably transform to vibrant-looking eyes. The day eye Cream with SPF25/PA++ protects eye areas from UVA and UVB rays and also helps regain firmness, elasticity (with beta-glucan which stimulates collagen formation) and vitality. 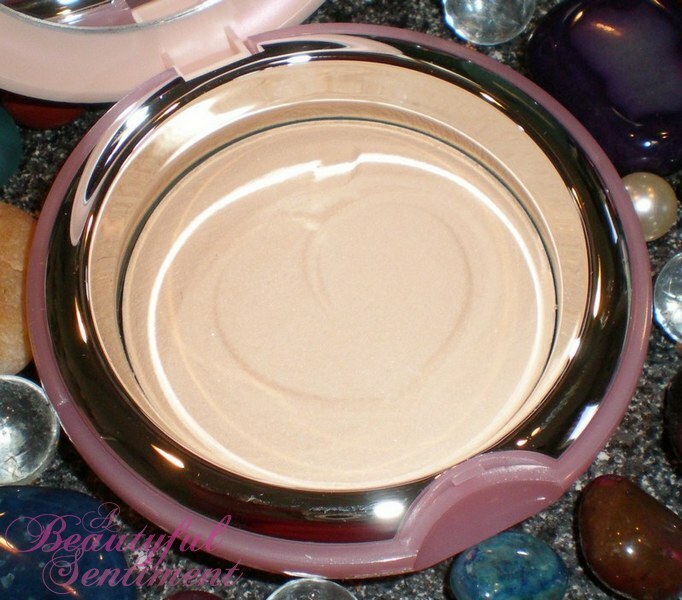 Gold Pearl powder brightens eye areas as it smoothens and softens. Dual Touch Eyes night Gel though light, works overtime to provide hydration with anti-aging properties. An anti-wrinkle and anti-sagging protector, eye area is optimally moisturized, firmed (Chlorella eliminates excess water and waste to reduce puffiness) and looks youthful (thanks to toniskin, a yeast extract). Wake up to bright sparkling eyes. 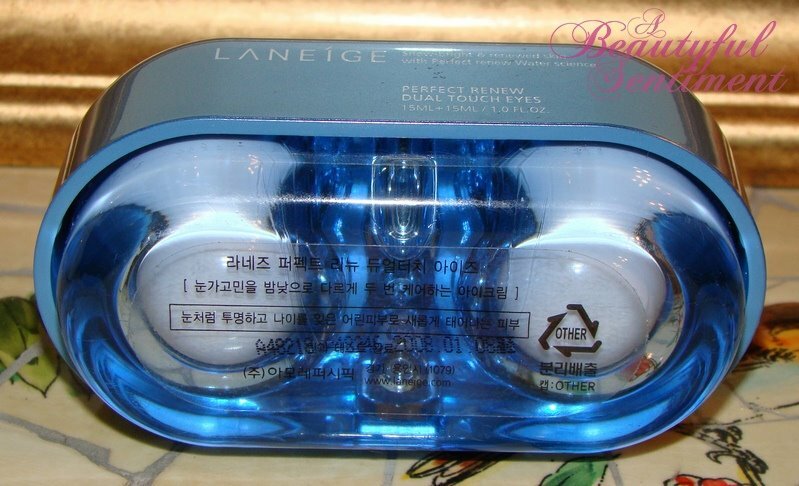 The Packaging: Laneige’s Perfect Renew Dual Touch Eyes eye cream is yet another Korea-purchased eye product. I was essentially suckered in by the cute packaging on this one. 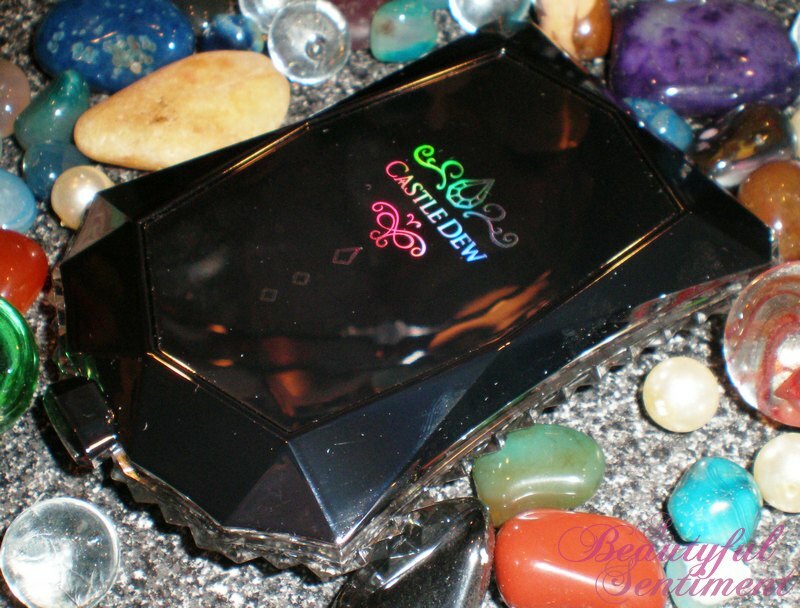 The product consists of two compartments, one holding a day eye cream with SPF 25, the other a night eye cream. The clear plastic spatula in between is meant to be used to scoop the product out of each well. The Age Range: When I was in Korea one of the shop girls recommended that I check out Laneige’s Perfect Renew Dual Touch Eyes eye cream as its target audience is young women in their late teens to late 20’s/early 30’s. What It’s Good For: I can appreciate a good concept when I see one, and I must admit that the idea behind Laneige’s Perfect Renew Dual Touch Eyes isn’t bad at all. Two eye creams conveniently packaged together, one containing SPF to provide great daytime protection, the other containing some great anti-aging ingredients to help ward of those first wrinkles. Cute packaging aside, I do have a few additional grudging complements for this eye cream: it’s relatively non-irritating, nice and light so that you don’t dread putting it on on a hot summer’s day, and it’s one o the few eye creams out there that contains a decent dose of SPF. Unfortunately I just wasn’t a fan. The Formula: The formula is where this eye cream goes wrong, because well, it just doesn’t do much of anything. 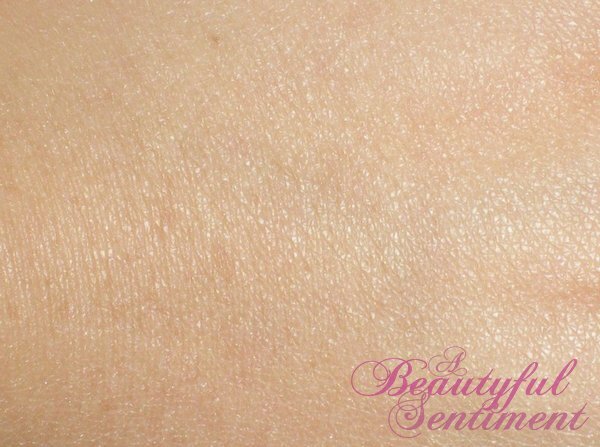 Yes it’s seemingly chock full of great ingredients and feels great on the undereye area thanks to the light texture, but this did absolutely nothing for me. The day cream does contain some slight pearlescence so as to give my eyes a brightened appearance while also providing SPF protection, but I didn’t really notice much in the way of moisture. The night cream, which I’ll admit is fabulously light, is also fabulously devoid of any results. I used Perfect Renew religiously for weeks on end to no avail. I might as well not have bothered with eye cream at all. The Verdict: While I give Laneige props for clever packaging, a cute design and for including SPF in the day cream, for me this was a massive waste of my hard-earned money. Definitely a disappointment! For more eye cream goodness, see my review of Dior’s HydrAction Visible Defense Hydra-Protective Eye Creme SPF 20 HERE. 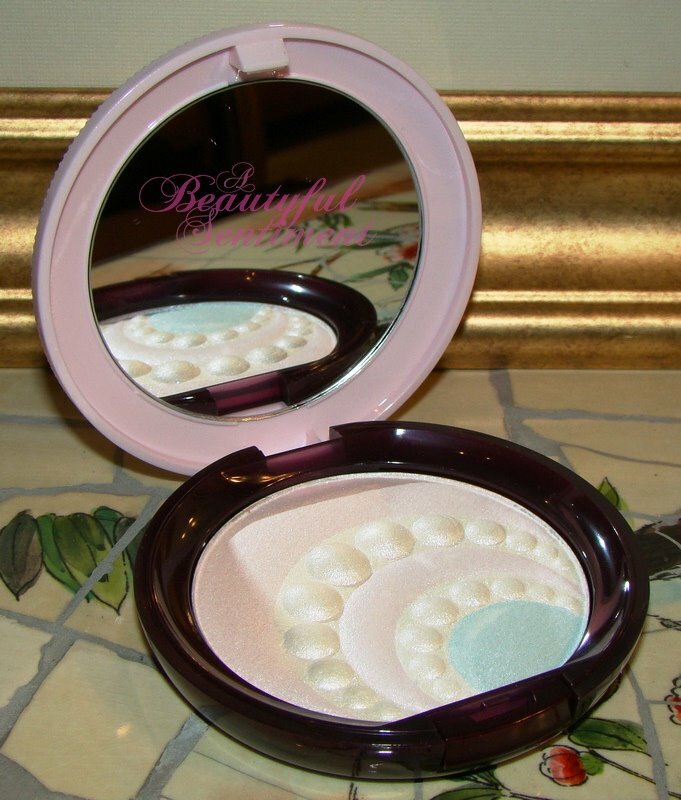 Baked compact supplies light skin coverage with minute, pearl powder particles for long lasting complexion flawlessness. 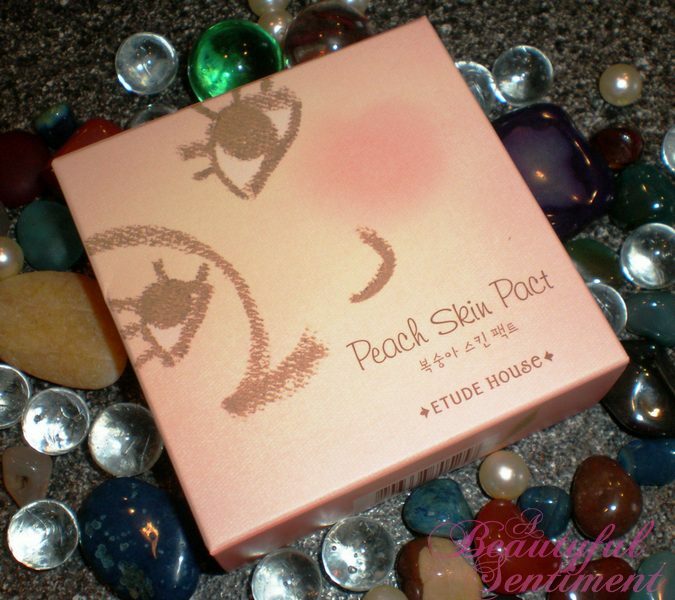 Etude House’s Peach Skin Pact was released a few seasons back along with the Pore Erasing Peach Base (review HERE), and like the Peach Base, has that same heavenly peach scent that I utterly adore. Come to think of it, most of the Asian products that I own smell pretty amazing–case in point, Jill Stuart’s products. Yumminess in gorgeous packaging! The powder itself applies like rather nicely–it’s smooth and silky and contains brightening pearl powders to give your complexion a nice brightened look. The trouble for me comes a few hours later. My oily complexion doesn’t take too well to this powder, and while I’m oily around mid-day like I usually am, the real issue is that it just doesn’t look so good once the oilies set in. My face ends up looking a little splotchy as this wears down unevenly and people ask me if I’ve been crying. I know there are a lot of people who simply adore this powder, and if your skin tends to be on the less oily/dryer side, I can definitely see how it might be pretty amazing, but for me it’s just average. Still it’s a really nice powder for a really low price. This was actually a gift from my cousin so I can’t remember the exact price, but I believe that it was around $15 or so, and while I’m not in love with it, I do quite enjoy owning it. 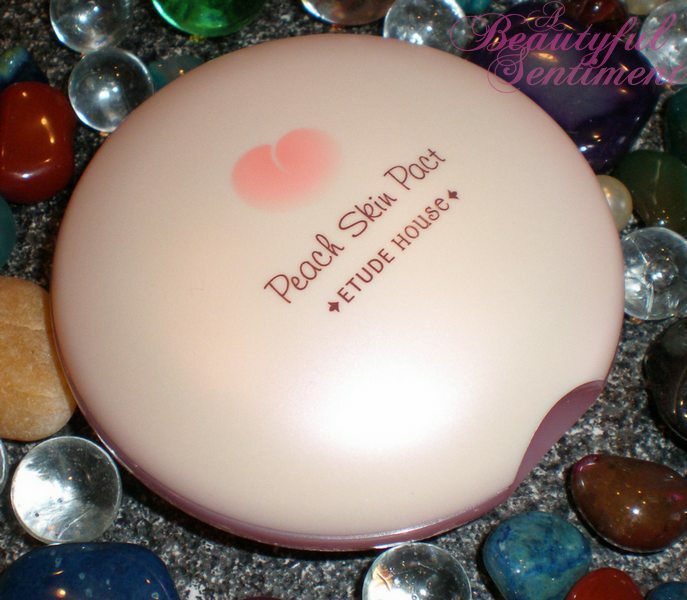 Photo of skin with Peach Pact. [Directions] Use tip to father and apply tint. Apply extra layer for added coverage. 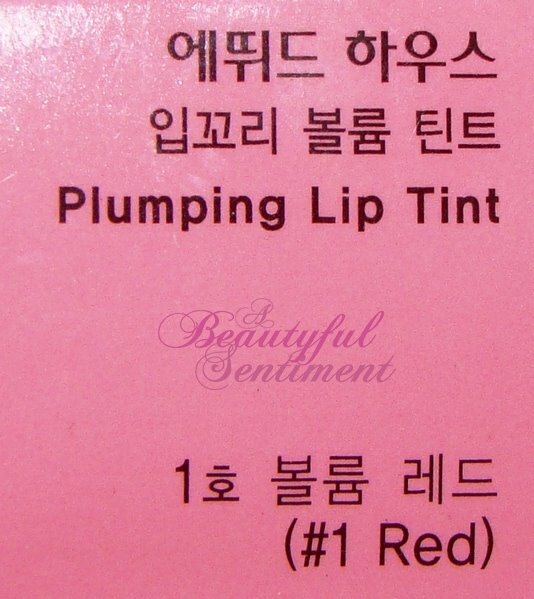 Etude House’s Fresh Cherry Lip Tints are easily my favorite purchase from Korea–and probably amongst my cheapest too! While I am enjoying playing around with the Asia-exclusive high end products that I picked up (check out my Korea haul HERE), there’s just something so satisfying about finding a cheap product that’s absolutely amazing and cute to boot. Etude House has consistently impressed me with its low-priced, high-quality products; most recently I’ve been loving the Plumping Lip Tint (review HERE) and Speedy Total Mineral Base (which I picked up during my Korea trip as well–mini review HERE). I tend to be very picky when it comes to lip tints/stains, and with good reason. I love a good, long-lasting lip stain in theory, but they never work out too well for me in practice. Maybe I don’t keep my lips as well moisturized as I should, maybe they’re just not as smooth as they should be, or maybe I just have weird lips–regardless, stains always give me a dark ring of color on the inner portion of my lower lips that’s far from attractive. 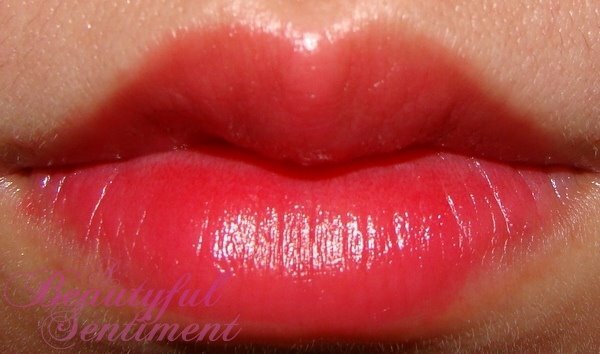 Close-up of Etude House Fresh Cherry Tint in #2 Pink on the applicator. My first shopping day in Korea I picked up a lip stain that ended up being a bit of a disaster, so of course I hesitated over these, but I just couldn’t resist the star-embellished plump little bottles. What Makes These So Great? 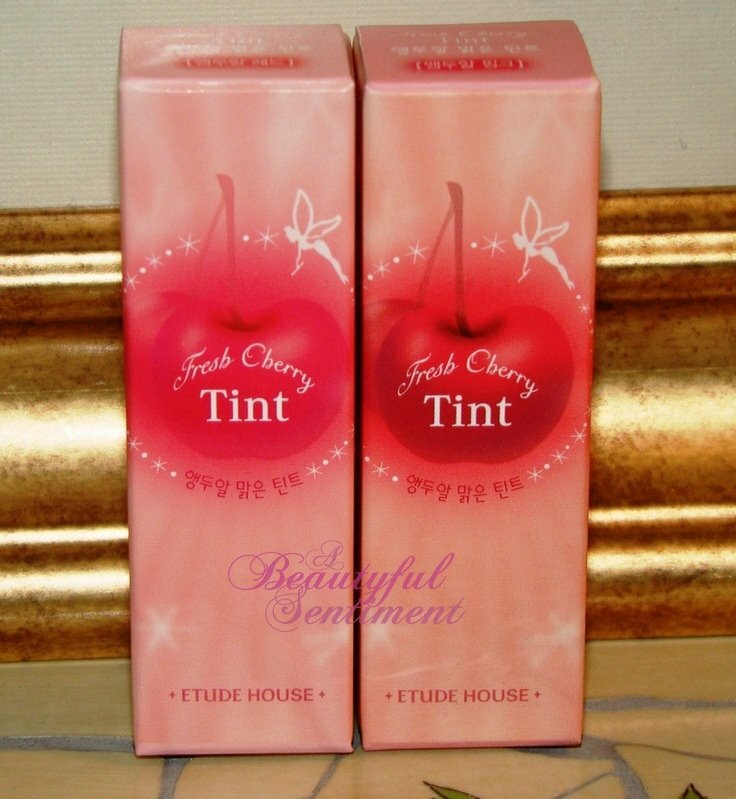 Well unlike most tints that I’ve seen, the Fresh Cherry Tints are very milky and creamy, rather than runny and watery, giving you a lot more control when it comes to application and making them a lot easier to work with. There’s no funky taste (just a very light, yummy cherry flavor from the sweet cherry fruit extract) and no Kool-Aid mouth – just beautifully stained lips that last and last. I didn’t expect great lasting power from this stain given its milky quality, but believe me once it’s on it isn’t going anywhere! 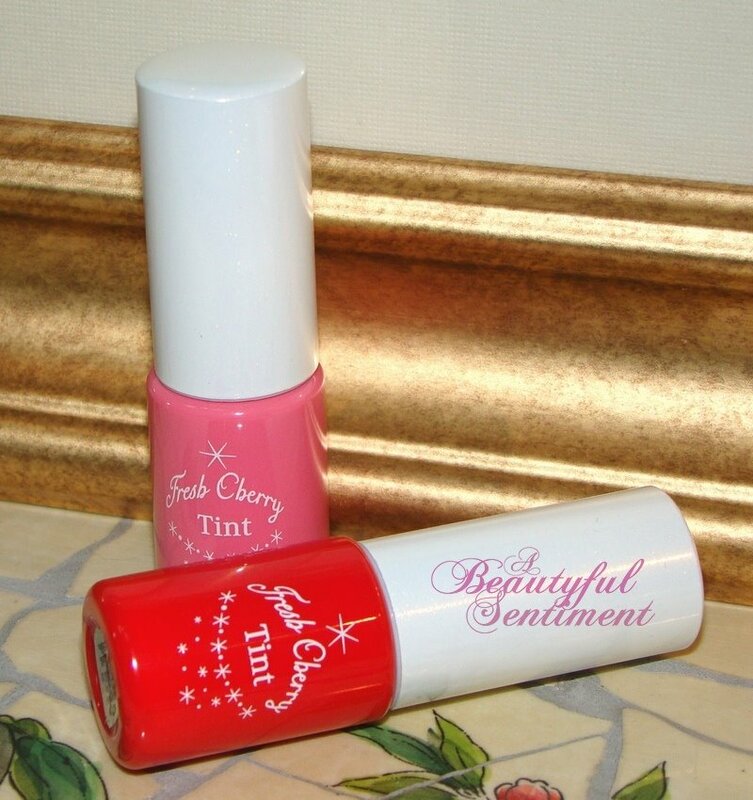 The #2 Pink is reminiscent of Benefit’s Posietint (but a million times cheaper), and while I tend to veer away from reds, the #1 Red is just perfect. The stains left behind are bright and clear, like the skin of a perfectly ripe cherry, and your lips are left looking lush and moist, a difficult feat for most stains which leave my lips looking rather dry. Not So Much: Well, as is the case with all stains, if you use your fingers to apply this, things can get a wee bit messy. But on the bright side, it’s actually the easiest-to-use stain that I’ve tried, and therefore the least messy as well. And of course there’s the fact that it’s hard to find outside of Korea, at least for a decent price. So in the swatch above you’ll see what I mean about staying power. The two ‘stains’ you see in the bottom half of the photo are the swatches from the photo above. I dabbed it on, quickly took a photo then went to blend, but the color had already absorbed into my skin, staining it, and pretty much refused to budge or blend and an inch. 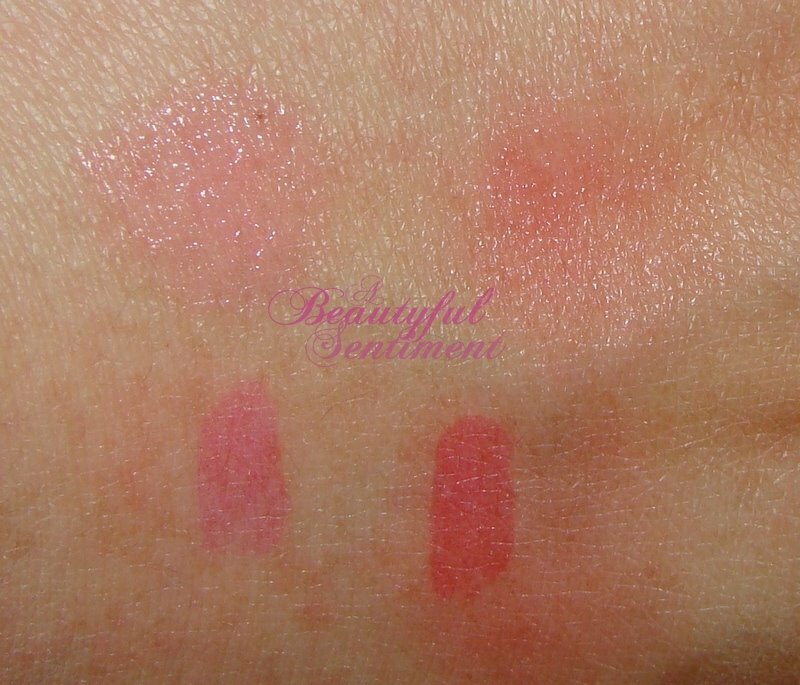 Above the colors you can see what the Tints look like when blended right away ~ a gorgeous sheer wash of color that looks amazing on both lips and cheeks. Have I mentioned that I love these tints? Sooooo so so so so so so much! To the point where I’m feeling the need to ferret away random tubes of Fresh Cherry Lip Tint in every available nook and cranny of my room on the off-chance that I might lose one of my two precious tubes. 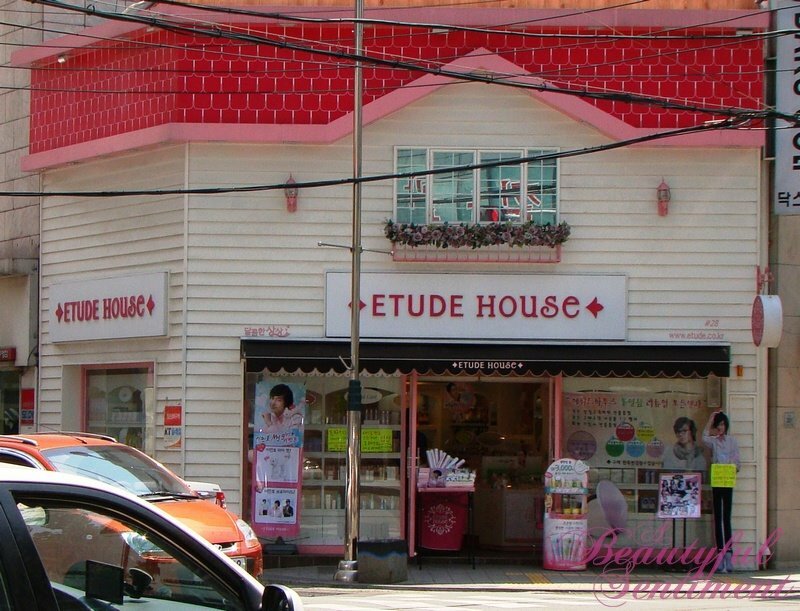 I say we petition Etude House and demand that they open a US location for the sake of my sanity :). 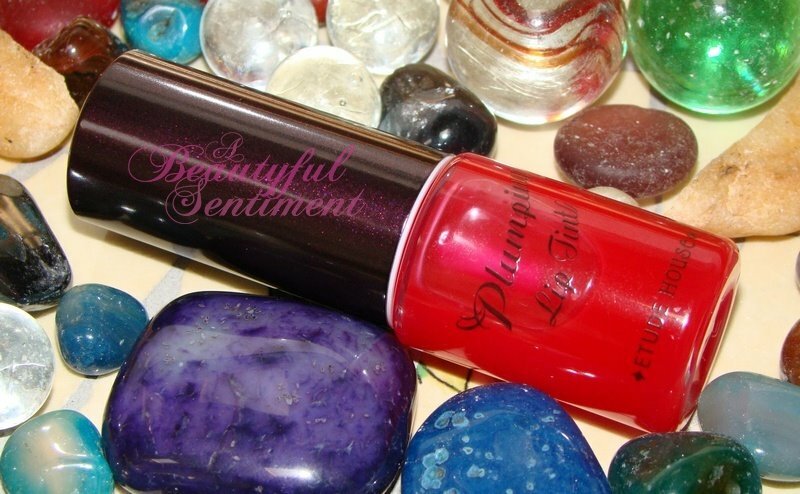 Colorful lip plumping tint supplies smooth moisture. Directions: Twist to dispense. Use silicone tip to apply to lips. Apply extra layer for added volume. 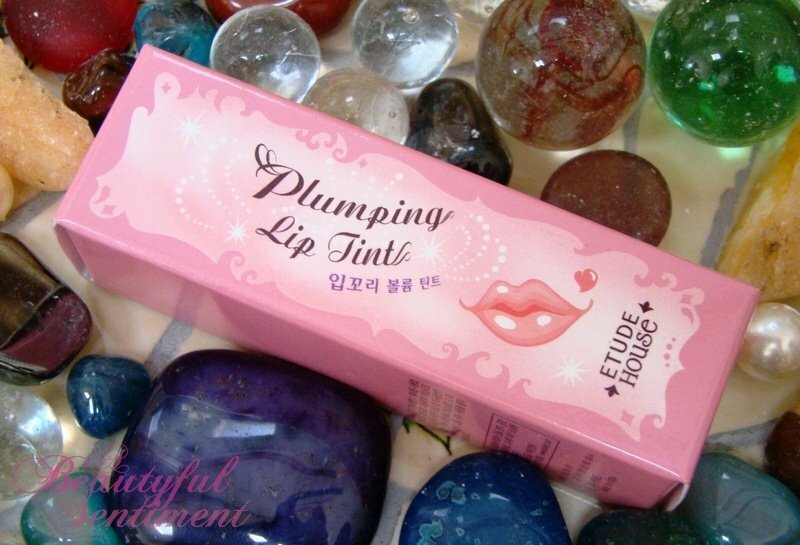 I almost didn’t purchase Etude House’s Plumping Lip Tint while I was in Korea, but like so many times in life, managed to be talked into by the perky and oh-so-helpful salesgirl (she was really sweet! she followed me around the store fanning me because I was overheated) and it would’ve been a serious tragedy if I hadn’t, as it’s quickly become my favorite everyday gloss! 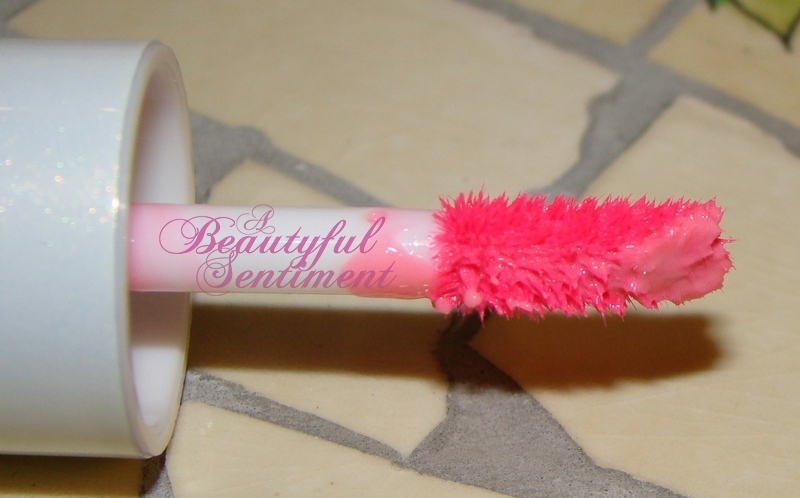 The main reason that I purchased this was for the packaging–the fat, stout tube of gloss just seemed so fun and different, and I adored the silicone-tipped applicator. Unlike other silicone/spatula-type applicators that I’ve tried, this one has the perfect amount of flexibility and give, making for perfect gloss application every time. Top view of silicone spatula applicator. The Applicator: I’ve raved about the benefits of a silicone-spatula applicator on the blog before, but I’m again to start again! 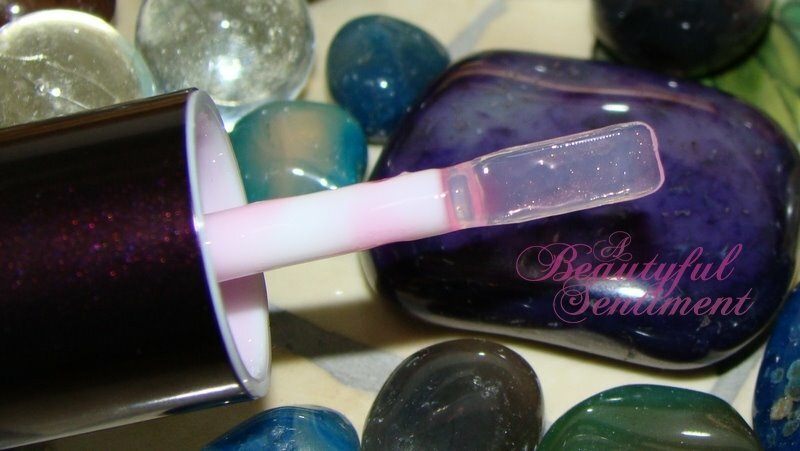 A spatula applicator allows you to have much more control over the amount of gloss you pick up and apply initially to your slips, makes for smoother application as you just slick it on and there’s no fuzziness to absorb the gloss (meaning the gloss actually ends up on your lips), makes for even application, and ensures that you don’t end up with waaay too much gloss on your mouth making for unattractive goopiness. 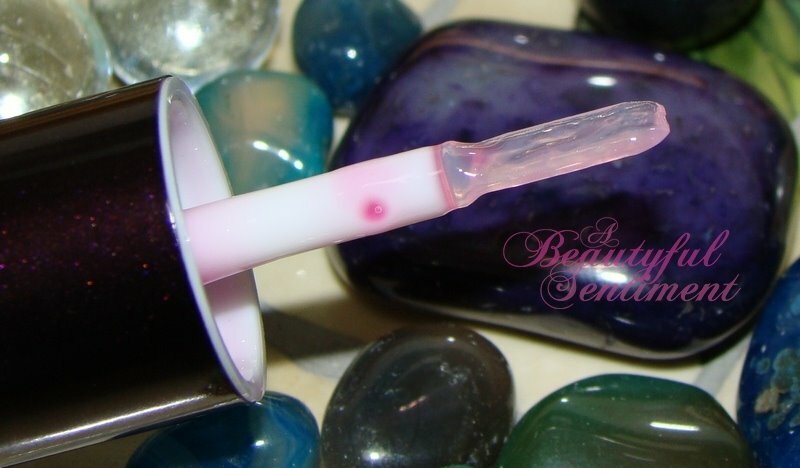 Side view of the silicone applicator. The Gloss: The gloss itself is also pretty rave-worthy in my opinion. It’s a light, not-too-thin yet not-too-sticky gel type gloss that has a pleasant bubblegum minty hybrid scent and flavor and imparts a refreshing cooling sensation to the lips when applied (with no stinging I promise!). I usually hate reds, but the shade is bright, clear, and simply beautiful–it makes my lips look lightly tinted (like I’m wearing a great lip stain with some clear gloss on top), and while there isn’t any major plumping action, my lips do look a bit fuller and poutier post-application. 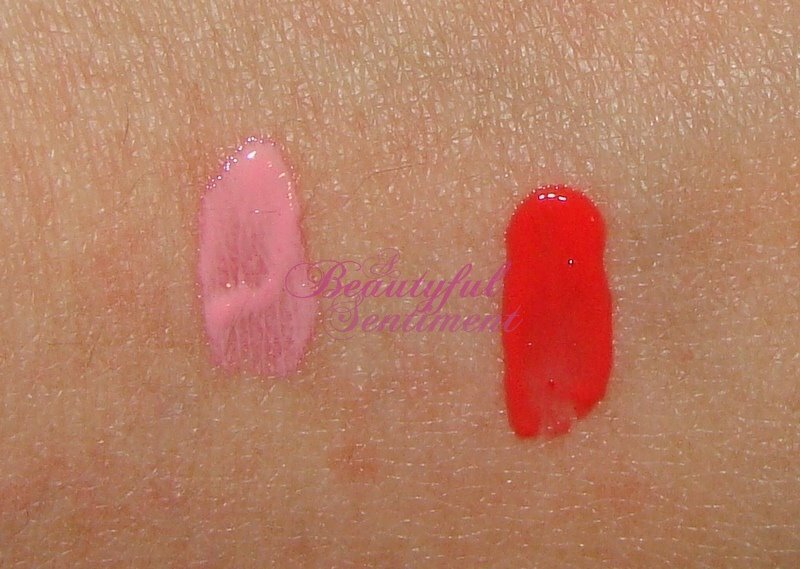 My sole regret is that I only purchased one of these fabulous little glosses, which are a serious bargain at $5 and change. 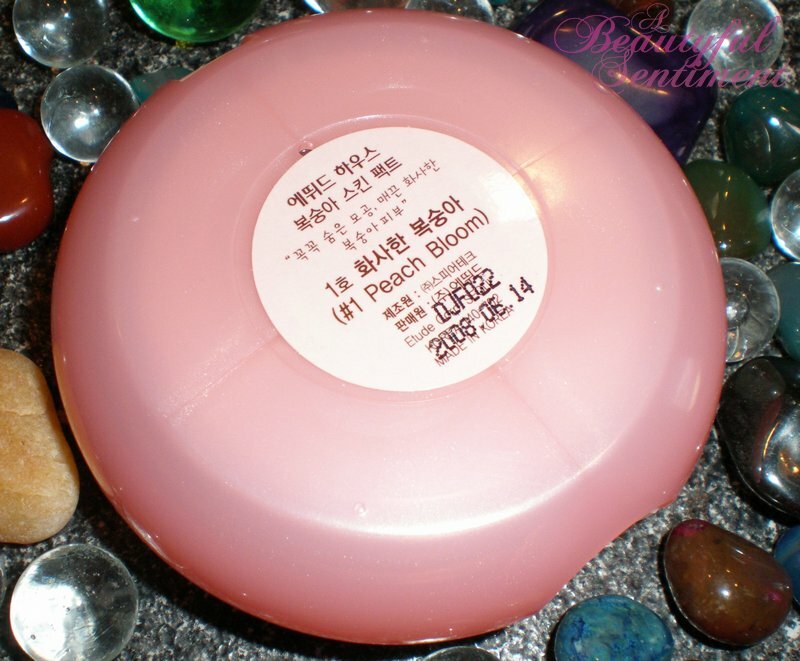 If I were back in Korea, I think I’d stockpile at least 5 of these in both shades (I think it also comes in pink), as I know this gloss would keep my lips pouty, moisturized, refreshingly cool and beautifully tinted throughout the sweltering summer months. I’ve been meaning to post and respond to comments, but honestly I’ve gotten so wrapped up in the Twilight saga that I just haven’t had the time LOL! I purchased the boxed set two days ago and I’m in the final book, Breaking Down, at the moment. I should be done by tonight and then no more distractions! In the meantime, I hope you enjoy this review that I’ve been working on for what seems like forever. What it is: A travel-friendly skincare quartet. 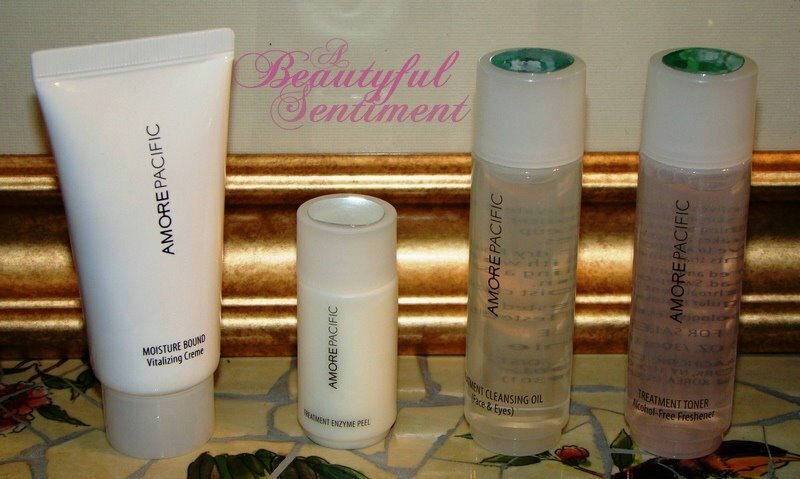 AmorePacific Moisture Bound Introductory Collection Vitalizing Essentials for Normal to Dry Skin is a limited-edition ensemble of handy skincare must-haves. These luxurious products are all you need to make your dry skin healthy, resilient, and age-resistant. Keep your complexion youthful and glowing—at home and on-the-go! If you look closely at the photo in this post, you’ll spot items from AmorePacific’s Moisture Bound Introductory Set scattered amongst the myriad of other makeup and skincare goodies I packed for my Korea trip. One reason I decided to pack these was of course because everything was just so perfectly travel-friendly, but more importantly these products when used together make up a great skincare regimen that I knew would soothe my travel-ravaged complexion. AmorePacific Moisture Bound Vitalizing Crème harnesses the power of bamboo sap, a blend of Asian botanicals, and red ginseng to nourish and intensively hydrate the skin, restoring its protective barrier and promoting strong resiliency and optimal moisture balance so skin is prepared to withstand environmental aggressors. 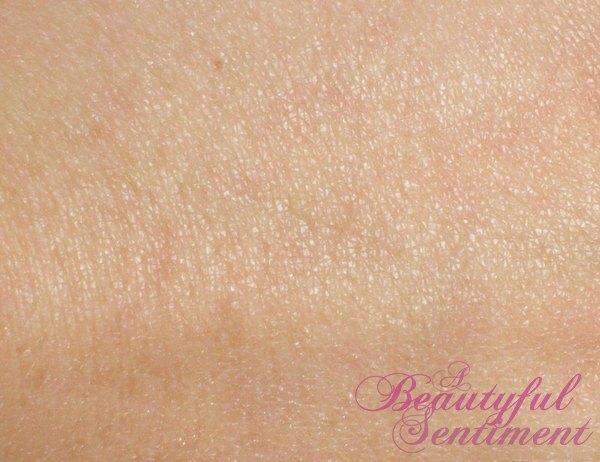 The appearance of fine lines is minimized and skin becomes comfortable, age-resistant, soft, supple, and luminescent. I had every intention of loving this rather pricey creme which runs $150 for a mere 1.7 oz, but alas it just wasn’t for me. 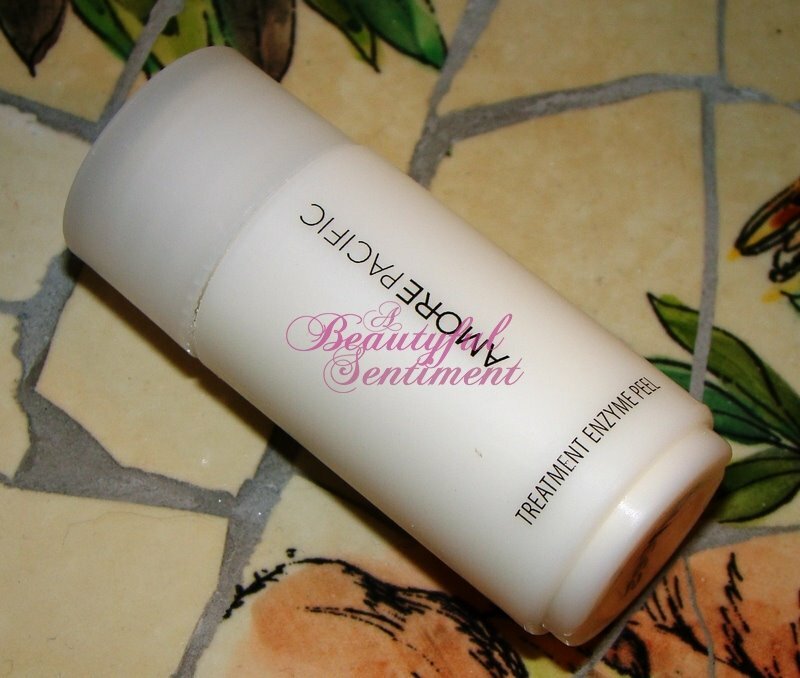 AmorePacific may have taken the whole “protective barrier” bit a little too literally, as the Moisture Bound Vitalizing Creme never quite seemed to absorb into my skin; rather, it just sat on the surface feeling rather sticky and a ltitle uncomfortable. I will say that for what’s supposed to be a heavy-duty hydrator it’s surprisingly light and almost gel-like in consistency which I quite enjoyed, but rapid absorption is key for me. AmorePacific Treatment Enzyme Peel is a water-activated non-abrasive exfoliating formula that delivers radiant, smooth, youthful results for all skin types. This product was one of my primary reasons for ordering this set, as I’d read such rave reviews of it on MUA, but for some reason I had absolutely no idea that the product would essentially be a powder face wash much like the one I reviewed HERE. While I’m a big fan of Kanebo Sensai’s Silk Peeling Powder, I just may have a new favorite. This isn’t at all abrasive feeling, unlike conventional exfoliators, but you’ll notice an immediate smoothness and luminosity to your complexion, even after just one use. I definitely need the full-size! AmorePacific Treatment Toner Alcohol-Free Freshener is a soothing complex that utilizes red ginseng extract in lieu of distilled water for revitalizing benefits, completing the cleansing process, balancing pH, reducing redness and irritation, and priming skin to receive treatment. 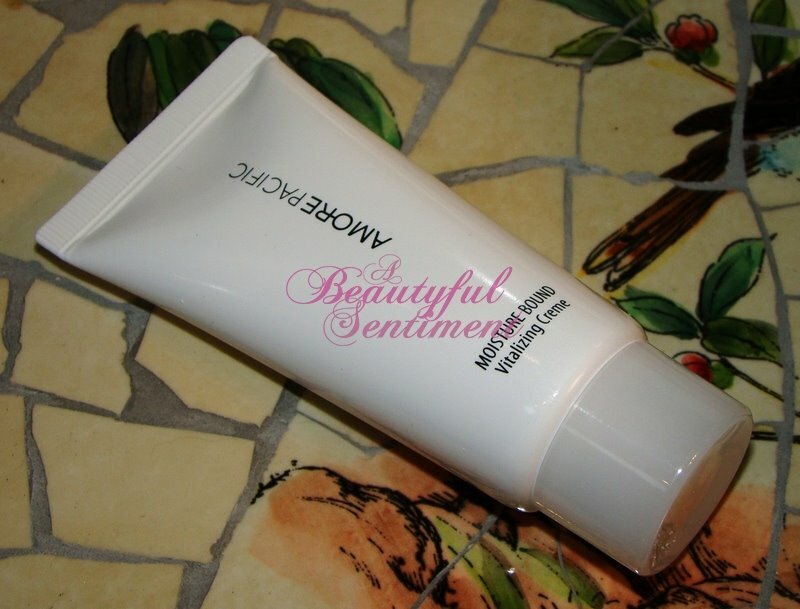 I’m not too big a fan of moisturizing toners in general as they tend to clog my pores and give me hives for some reason, but this one’s soothing without being irritating. 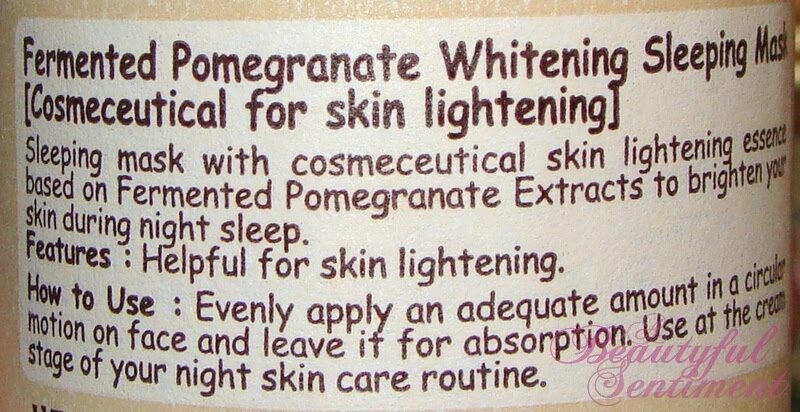 Great for those of you with dry, sensitive skin. 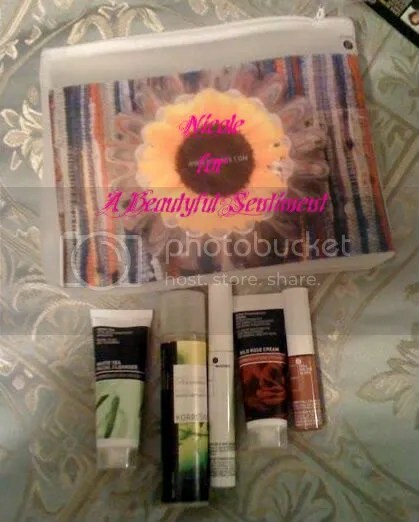 And my other reason for wanting to try this set, the Treatment Cleansing Oil Face & Eyes. I love oil cleansers because they gently and effectively dissolves makeup and impurities, leaving skin soft, hydrated. 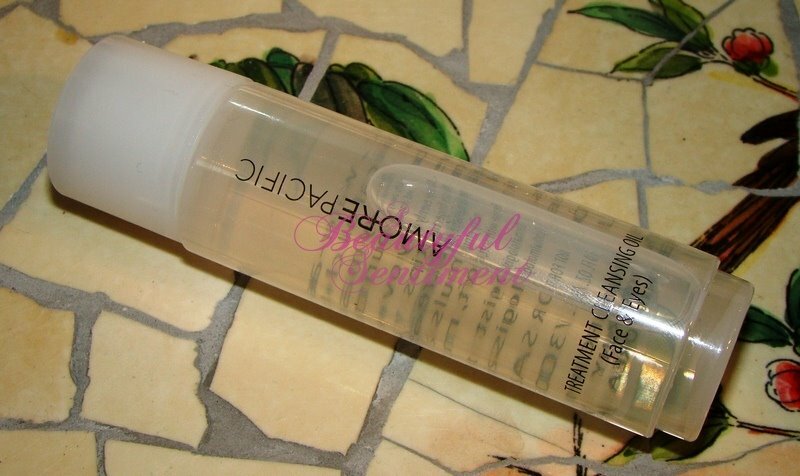 This formula is much lighter than my much-adored SK-II cleansing oil, making it great for warmer weather, but it’s just as good at removing my makeup and leaving my skin thoroughly clean yet balanced. 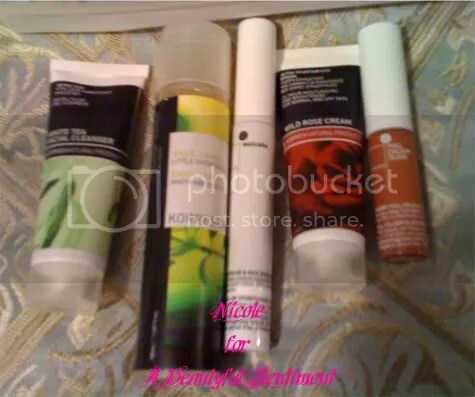 While there wasn’t item in this set that I really disliked, if you had to choose just one to try I’d say go for the Treatment Enzyme Peel, I think you’ll love it! Just a warning, this post is very photo heavy! Oh and please excuse the poor quality, I just got home from Korea today, I’m horribly jet-lagged and the lighting was terrible by the time I got around to taking photos (around midnight =X). I didn’t have time to do too much makeup-shopping while in Korea as my mother and I had a million other things planned, but I couldn’t resist popping into this super-cute Etude House store when I saw it across the street, and of course I picked up a few items (see them below). The girl in there was so sweet–I was overheated so she followed me around the store fanning me :). 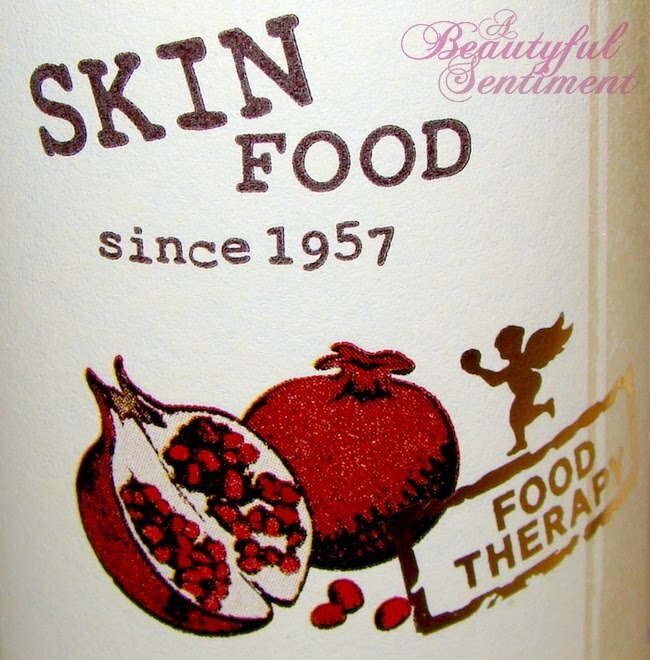 And what a coincidence that Skin Food was literally right across the street! I’m kicking myself for not picking up more items from here. So before we get to the cosmetics, here’s a photo of a few of the hair accessories I picked up. I LOVE going hair-accessory shopping in Korea, there are so many gorgeous Swarovski-crystal studded goodies! Since I was in Asia I decided to indulge in the whole pale face/white skin craze and picked up a few whitening foundations to test out. As a rule of thumb I generally avoid purchasing items that are available stateside while in foreign countries since that’s just extra stuff for me to lug back that I could find at home. Check out all the Asia-exclusive goodies I picked up down below! Asia-exclusive #1 is Guerlain’s Parure Pearly White foundation which contains iridescent 100% natural nacre powder taken from the shells of oysters and Pearl Lily Complex. More info on this when I get around to reviewing it in a week or two! So excited to try this! 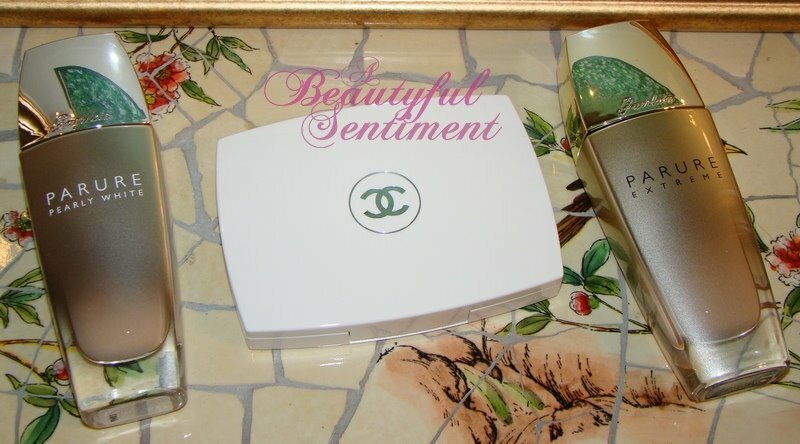 Asia-exclusive #2 is Chanel’s Light Reflecting Whitening Compact Foundation in shade 30 Beige Cendre. 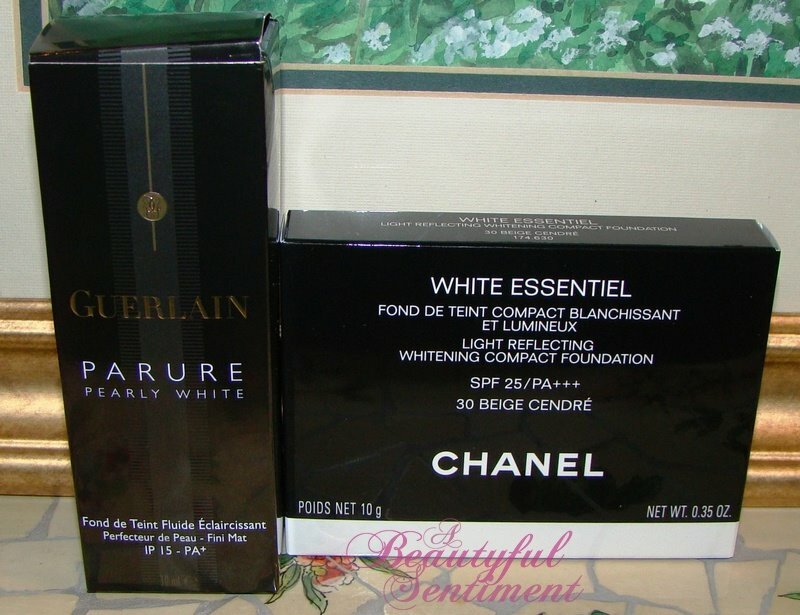 I couldn’t resist the minimalistic sleek white packaging and the fact that this is specially designed just for Asian skin, as is the Parure Pearly White Foundation from Guerlain. 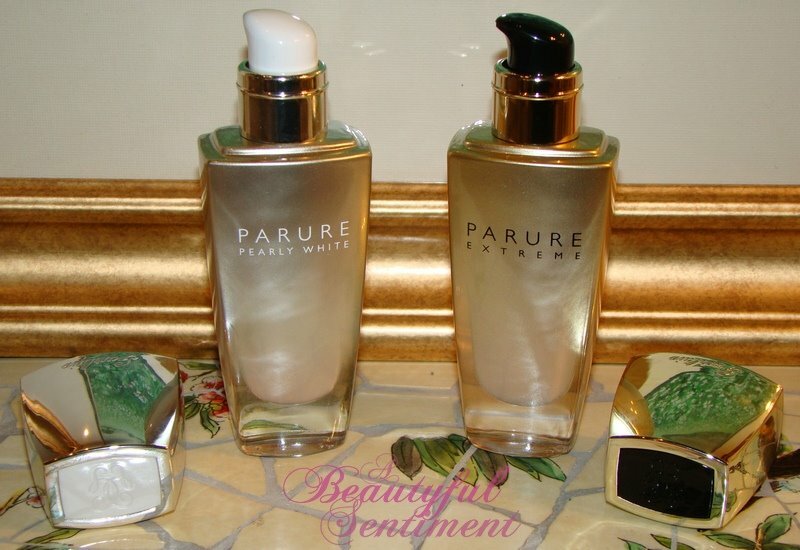 And last but not least is another Gurelain foundation, this time the Parure Extreme. Now I know what you’re thinking–this is readily available in the US. BUT in Asia this comes in shade 01, Beige Pale, which is perfect since I loved the formula but couldn’t find a color match (I’ve reviewed this on the blog before). My two new Guerlain foundations standing side by side. I’m loving the packaging, and hopefully I’ll love the contents just as much! 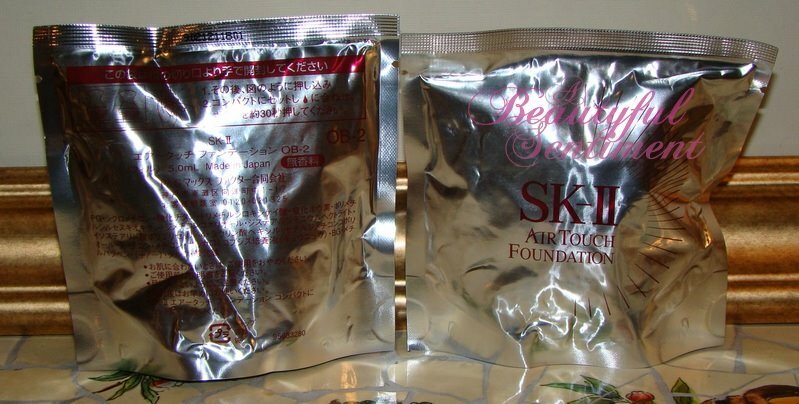 These are refills for my SK-II Air-Touch Foundation (review HERE), and again the shade I picked up (OB-2) is an Asia-exclusive, and it doesn’t hurt that it’s also MUCH MUCH cheaper in Korea than it is in the US. In the US these refills would cost $90 plus tax; I only paid $48 after my VIP discount. Can’t wait to test out this shade since none of the US shades were working out too great for me. Now for my Korean lippies! 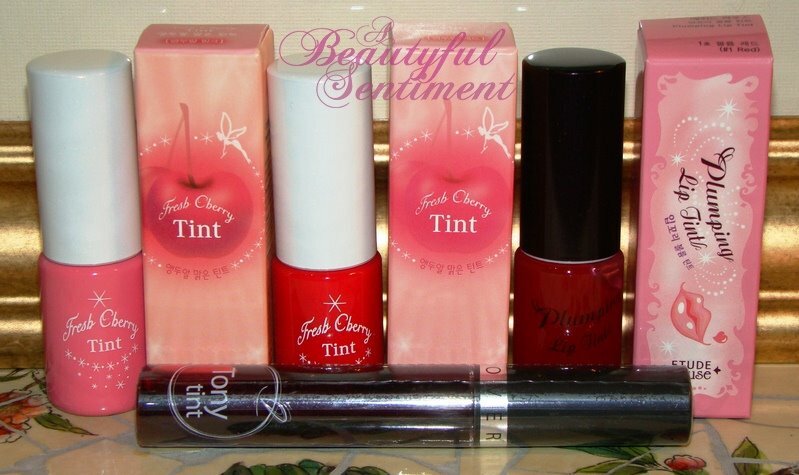 I picked up Etude House’s Fresh Cherry Tints in both pink and red, and a plumping gloss in a deep pink shade, plus a Tony Moly Lip Tint in Red Apple (only because I heard they used this in my current fave drama, Boys Over Flowers). I also picked up a Tear Drop Liner (shimmery white liner for your lower lash line), Speedy Total Mineral Base (I have a review of this floating around the blog too–it’s great! 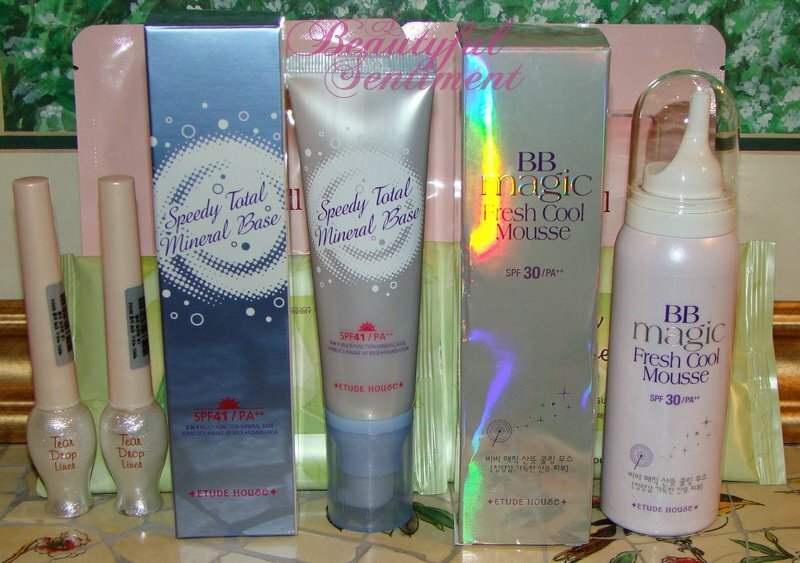 ), a BB Magic Fresh Cool Mousse (I wanted to picked up another Innisfree BB Mousse which I’ve reviewed, but they discontinued this), and a few face masks and cleansing wipes. 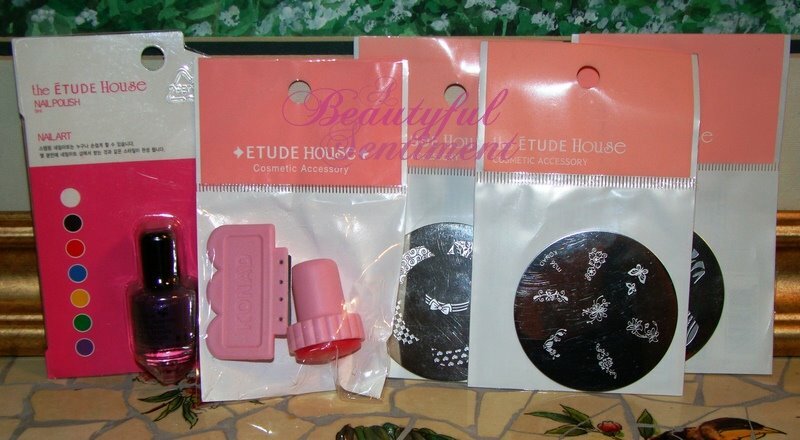 I’m sure you all know I’m a little Konad obsessed as of late (if you have no idea what I’m talking about search “Konad” in the search box) and how convenient that Etude House had Konad plates and polishes! 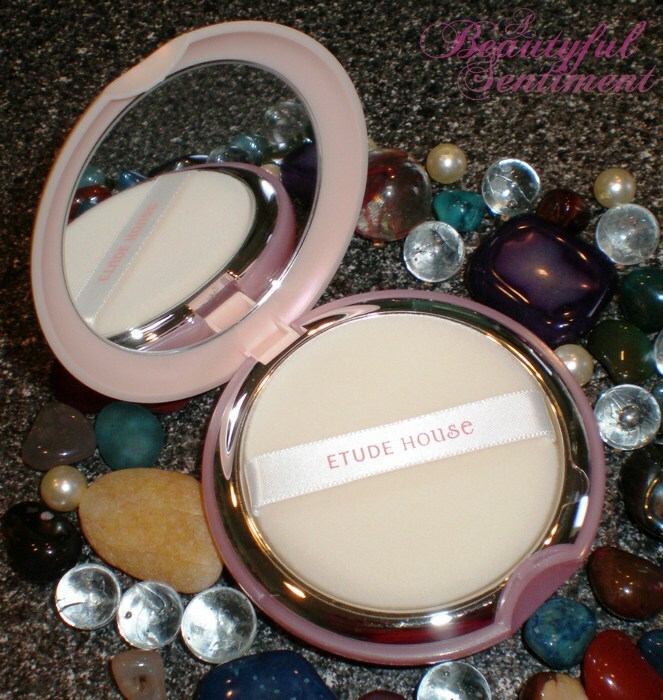 An Etude House Precious Mineral Brightener–sooo pretty and shimmery! It kind of reminded of the Guerlain Pressed Meteorites. A few other goodies from Tony Moly, including a shimmery pink powder compact and a face brightener that has SPF 30 and comes in a handy-dandy brush packaging. 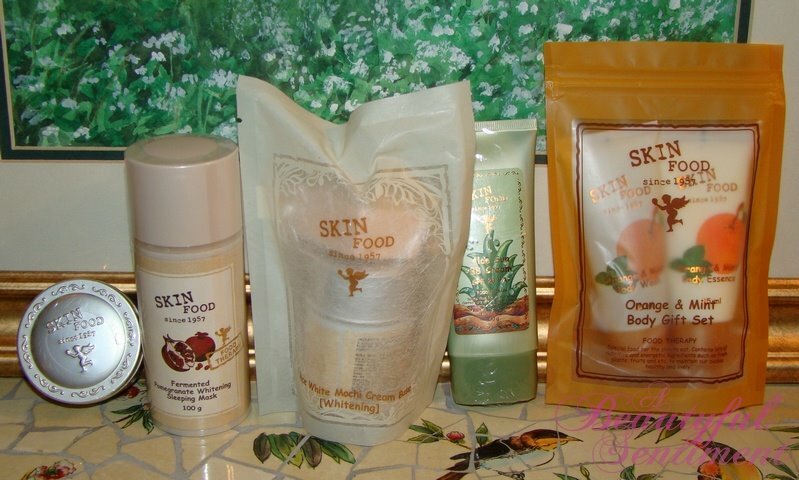 And finally the stuff from Skin Food: a gorgeous shimmery pink blush, Fermented Pomegranate Whitening Sleeping Mask, Rice White Mochi Cream Base, Aloe BB Cream and an Orange & Mint Body Set. AmorePacific Moisture Bound Introductory Collection Vitalizing Essentials for Normal to Dry Skin is a limited-edition ensemble of handy skincare must-haves. These luxurious products are all you need to make your dry skin healthy, resilient, and age-resistant. Keep your complexion youthful and glowing—at home and on-the-go! I was so excited to see that Sephora recently started carrying AmorePacific, since the only other place that I’ve seen much of them is Neiman Marcus. This Introductory Kit is really a great deal–the Moisture Bound Vitalizing Cream costs $150 for 1.7 ounces, and so the one ounce size in this kit would cost $88.24 alone! On top of that I’ve been dying to try the Enzyme Peel (it gets amazing reviews) and the cleansing oil, so this kit was a natural buy. I’ve heard great things about Korres’ skincare, the mascara get fabulous reviews, and I know for a fact that I really like their glosses so I’m so ridiculously excited to receive this set in the mail. Anybody else planning to redeem their points for this bag of natural, wholesome goodness? As I’m sure some of you remember, this beauty of a palette was a gift from the always-sweet Digital Angel, who managed to catch me by surprise with this package–a pretty rare occurrence I assure you! The outer encasement of the palette is like a large glittering jewel and just so much fun. I love having this sitting on my vanity so that I can admire it each morning as I’m doing my makeup, whether I’m using it or not. 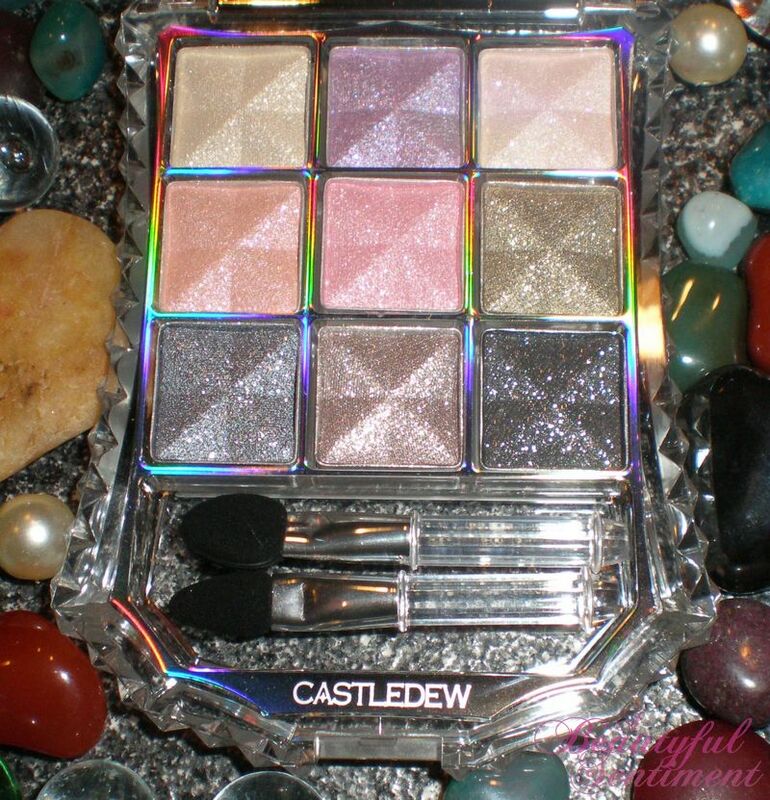 Having found Castledew’s Pearl Up Eyeshadows (also gifts from Digital Angel!) 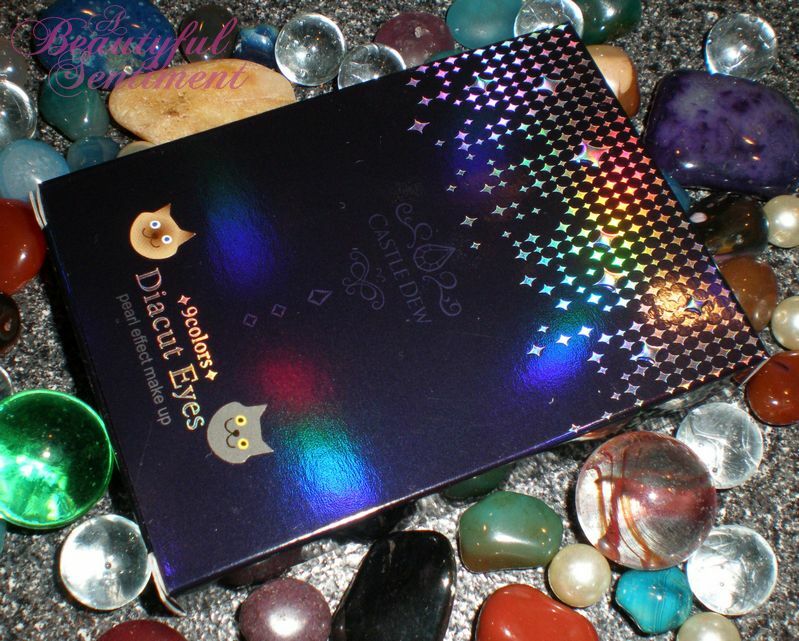 to be very pigmented, I was expecting more of the same from this Diacut Eyes Palette, so I was a little disappointed on that front. That’s not to say that this palette is a dud by any means–it’s just that the shadows tend to be on the sheer side. Swatches in the same order as above. 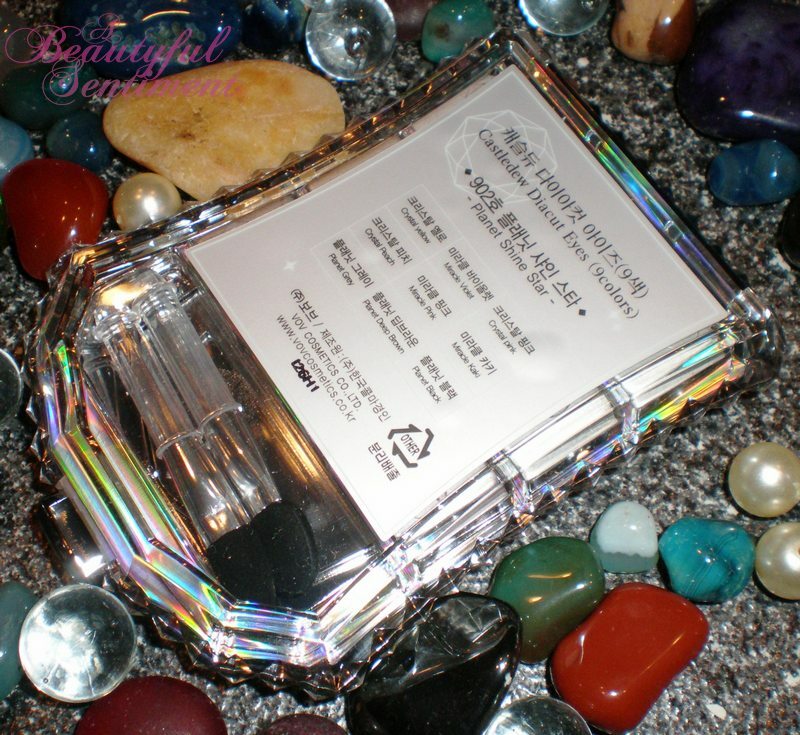 The palette sports a gorgeous array of shades including pink, purple, brown, gray, black, green, and cream and is glitter central, just the way I like it! 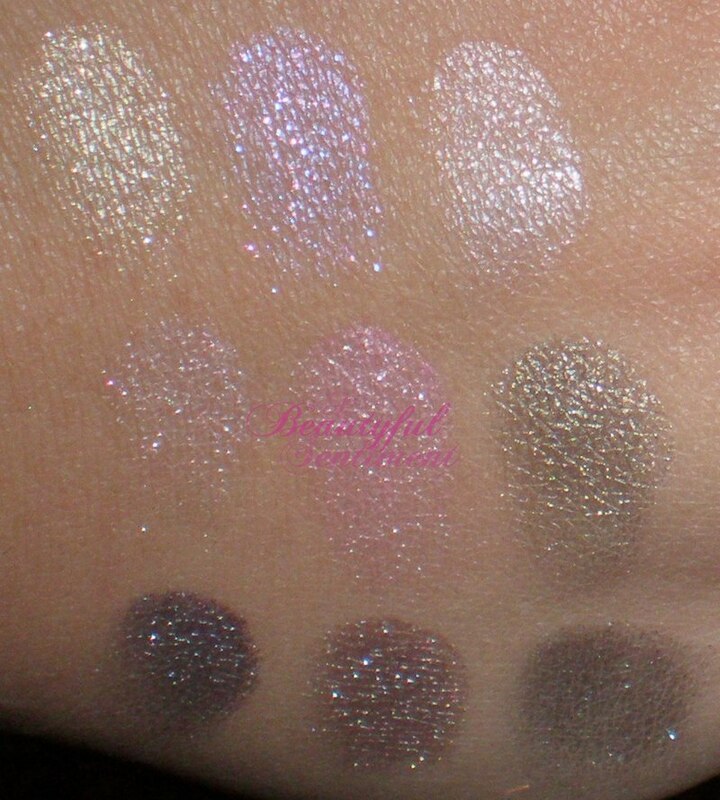 The palette’s downfall is that due to the relative sheerness of the shadows, the glitteriness tends to overpower whatever look you’re attempting to great and so you see more shimmer than any actual color. However if you do have the patience to layer the color on you can get a pretty nice wash of color! I created the look below using 2-3 layers of the purple shade. While the pigmentation could be a little better, I really love the packaging of this product and was so excited to have the opportunity to play around with this palette. Thank you so much Digital Angel for being so thougthful and sending this to me!